Sudden deaths in industry are rare, even in countries with less well developed Health and Safety control, but they still grab the headlines, and still dominate our impressions of industry as a ‘dangerous place’. But the real dangers are far more insidious, and very often the consequences only manifest very much after the event. 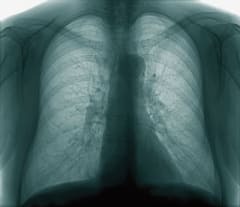 Respiratory disease is not usually something that happens within moments. True, some acute deaths do occur from the inhalation of acutely toxic materials, but these effects are often systemic, occurring in other organs of the body or within the respiratory tract due to some particular sensitivity to a material such as a respiratory allergen. The real cost of inhaling toxic materials in the workplace, such as chronic respiratory diseases and ultimately death, can take literally years to develop. This has led to the development of a universally common source of industrial hazard that none of us is immuneto – complacency. The UK Health and Safety Executive estimates that there are 1,700 new cases of industrial asthma per year. Evidence suggests that the combination of smoking and occupational exposures to fumes, chemicals and dusts accounts for approximately 4,000 deaths annually in the UK alone. Chronic Obstructive Pulmonary Disease (COPD) is a long latency disease; that is, it can be a considerable time between exposure and any ill health symptoms appearing. So, if you do not use a respirator or you do not use it properly, the chances are that you will not immediately fall over gasping for breath (although it does happen in cases of respiratory sensitisation), and you may not even feel any discomfort – at the time. Respiratory disease is sneaky, it can be slow, but it is an implacable killer at work in our midst. When did you last hear about 4,000 people dying in the UK and it not making the top of the news? The HSE and other national and international Health and Safety regulatory bodies have worked hard on damage limitation for the future, but the sad thing is we still have thousands of people across Europe who are terminally ill due to industrial exposures that took place years, even decades ago. This article will explore ways of optimising the levels of protection that workers achieve with the respiratory protection that they are issued with. But first, what is the respiratory tract and what does it do? There are really two basic components to the respiratory tract; the conducting airways and the gas exchange regions. The secret to their functions is in the names. The conducting airways’ role is to get air from outside, through the nasal turbinates (where it is warmed, humidified and the biggest particles removed), down the trachea via the larynx to the bronchi, which divide and branch into ever-finer tubes leading to the gaseous exchange region. All the way down the conducting airways large particles are taken out using their inertial properties, but eventually the particles that are left in the air are so small that their behaviour is no longer dominated by inertia but by diffusion. In effect the particles begin to act like large gas molecules. The cells that line the inner surfaces of the conducting airways are covered in fine tendrils called cilia that beat in a rhythm that conducts a layer of mucus upwards to the oesophagus where it is swallowed. This mucocilliary escalator carries the deposited larger particles away, although more soluble particles may also dissolve into the mucus layer?and exert local effects such as allergic and hypersensitivity reactions that can cause acute life threatening symptoms. From the oesophagus the swallowed particles are not yet out of the woods and during their passage through the gastro-intestinal tract can still exert local or systemic effects. Even so, the elimination rate of particles falling onto the mucocilliary escalator has a half-life of less than 24 hours, so insoluble particles will not have long to cause adverse effects. The gaseous exchange region of the lungs consists of groups of balloon like sacs called alveoli that are made up of very thin cells in front of blood capillaries, separated from the air by only the thickness of one or two cell walls. This means that the alveoli are very effective at allowing blood gases to percolate out and fresh oxygen to diffuse into the blood. There are no cilia present in the alveoli but scavenger cells called macrophages slowly patrol the surfaces of the air sacs (after all that branching, the bronchi have a combined length of nearly 1,000 km and the alveoli have a combined surface area of more than 70 m2). Macrophages travel very slowly and unless they are killed by inhaled materials can live for a long time, carrying large amounts of swept up particles. Insoluble particles that get into the lower respiratory tract remain in the body for much longer, only cleared with a half-life in excess of days, months or even years. They can be very persistent and cause slow-to-develop, long term damage to the gas exchange region of the lungs. The very fine particles that dominate the aerosol that gets this far have very high surface area/mass ratios, which means that they become more easily soluble and available to pass into the local cells, or through them into the blood system where they may exert adverse effects locally or systematically. One further complication is that deposition within the conducting airways is predominantly a matter of aerodynamic diameter and long particles can become aligned with the air so that they pass well into the gas exchange region, again causing long term damage and conditions such as mesothelioma – for which there is no known cure. Of course as well as particles the respiratory tract must also be protected from gases and vapours, which in some cases can be just as complex a process as for particles because gases and vapours can be adsorbed through virtually the whole of the respiratory tract. So, if we now have an idea of what the respiratory tract is and what it does, we should be able to develop an effective protection process. The trouble is, and here you may need to sit down, ALL RESPIRATORS LEAK! There, I’ve said it, so we can all take a deep breath (of clean air) and move on. Fortunately for respiratory protection designers, the entry into the respiratory tract is a lot simpler than the route presented by, say, the skin, so we can focus the protection of the respiratory tract onto the nares, which is scientist-speak for the nostrils, and the mouth because the mouth joins the nasal passages at the back of the throat – and as we all know from when we have had a head cold, sometimes it is impossible to breathe through our nose. In essence respiratory protection is very simple; it is a way of delivering clean air to the subject through, or from, an environment that contains harmful agents of some description (or in the case of oxygen deletion, the absence of benign agents). The first decision we make is whether or not to supply the clean air centrally or to remove the contaminant from the air locally. On the one hand you can have a device such as an air fed hood, fitted with a hose, but this is going to limit mobility, while on the other hand you can use a filter to clean the air as it is inhaled, in which case you arrive (usually) at a tight-fitting facepiece fitted with a canister. Now we come to a tricky point. Respiratory protection is too often provided as an easy way out, as a way of avoiding the cost of expensive air cleaning plant or changes to a process, but that is completely the wrong way of approaching respiratory protection. Respiratory protection should be regarded, to misquote Mark Twain, as “the last refuge of a rogue.” Respiratory protection should only ever be used when all other reasonably practical control measures have been applied and exhausted. Replacing a toxic material with a less harmful material, reducing the amount in use, controlling area and local ventilation and so on all have their place to play before you issue respiratory protection to your workforce. This means that by the time you carry out a hazard assessment on the remaining atmospheric contaminants there should only be the residual levels of harmful agents left, or even the possible hazard of a potential leak. Health and Safety Executive as HSG 53, Respiratory protective?equipment at work: A practical guide. This excellent document is currently under review but still provides the most comprehensive and authoritative instructions available today. There are regulations in all EU states relating to the provision of appropriate and adequate respiratory protection, but the UK took a lead in the development of respiratory protection programme management tools and now has a comprehensive set of guidance and regulation on the subject. A full-face respirator will achieve much higher levels of protection in the workplace than a half-face mask, while that same half-face elastomeric mask will routinely offer slightly higher levels of protection than a disposable filtering facepiece. Some confusion exists between the deployment of a half-face or a full-face elastomeric mask. The primary purpose of a full-face mask facepiece is to spread the load of the elastic harness across the much larger face seal surface area. True, the visor can provide eye protection as well, but that is not primarily what it is there for as far as a mask manufacturer is concerned. I said earlier that all respirators leak – sorry, I know I said it again and it must still be quite shocking! The biggest source of leakage is where the facepiece meets the face. The bigger the face seal area, the less work any particular part of that face seal has to do to maintain an effective seal. This means that while a disposable filtering facepiece can be an attractive first choice, the very small face seal surface area it has and the lack of significant tension that can be applied by such a lightweight harness means that it is very easy to get it wrong, and to not be adequately protected. An elastomeric half-face mask may seem a more expensive option compared to a disposable, but do the cost calculations over a year and you will be amazed at the savings that half-face masks offer, as well as the very real improvements in staff safety. A full-face mask offers even greater protection, so would certainly be considered adequate, but may no longer be appropriate. Try sitting at a bench on a production line for an eight hour shift wearing either a half or a full-face mask and see which one you would prefer to use. The real benefit is that the face seal no longer has to take into account all those curvy bits around the nose and this makes the face seal more robust and even. The downside is that all those Elvis impressionists and guys with designer stubble have whiskers within the area of the face seal and that is just the worst sort of seal breaker. In the UK if you wear RPE while at work, you are required by law to report for work clean-shaven. There is some latitude for moustaches that do not fall within the face seal area. In the end, you do the hazard assessments and you select the appropriate device, you order them in and you get your stores department to issue them to the staff, then you can sit back, confident in the knowledge of a job well done. Sorry, but WRONG! If you simply put the kit out there and issue an edict that failure to comply is punishable by death (which of course could be true) then it is not going to work, and those who apply the law will think you have not done a good job. Respiratory protection is not just about devices, it is about training, and it is all about education and understanding. If employees know why they need a respirator and they are trained to fit it properly and to look after it, then they won’t end up strapping it to their face so tightly that it is actually uncomfortable, and certainly less than effective. There are two key aspects to a good respiratory protection programme: selection and training – and as we all know training works much better when it is validated by assessment. This is where Fit Testing has developed to meet a very important need in the management of Respiratory Protection. Fit Testing is the only measure of the protection afforded by a mask that is measured on the actual person and the mask that they use. It takes place in the workplace, or close by, and closes the circle on training and practice in RPE. The mask that the person has been using routinely can be used so you validate the proper maintenance of their mask, and you ask them to put their own mask on so you, and they, can immediately see that they are doing it correctly or what they are doing wrong. Two types of fit testing can be used: qualitative (QLFT) and quantitative (QNFT). The first is a subjective test where the person wearing the mask is required to indicate when they can sense a rising concentration of a test material such as an irritant smoke, a sweet smelling oil or a sweet tasting aerosol (saccharine). The sensitivity of the test varies with the?subject and with time; for instance, one day you may have a cold and will never be able to smell or taste the challenge aerosol, while the next week you may be very much more sensitive. However sensitive you may be, the test can only be used to challenge half-face or filtering face pieces (FFPs) with low protection factors. On the other hand, QNFT is objective; it takes the pass/fail decision away from the test subject and is much more sensitive, so it can be used to assess full-face masks as well as half-face and FFPs. The UK HSE have developed test protocols designed to challenge the face seal with the type of activities typically encountered in the workplace and which are easy to follow for the person being tested and the person doing the testing. Fit testing in the UK is mandatory; if you issue tight fitting respiratory protection you are required to demonstrate its suitability and that the staff have been adequately trained by Fit Testing every person required to use RPE. In the UK it’s the law. Testing being carried out in the UK and asked the British Safety Industry Federation (BSIF) to develop a code of practice and minimum requirements for the industry, which include an assessment of a Fit Tester’s competency. 1. It indicates that at least half of the people doing fit testing think they are doing it correctly, but are doing it either wrongly or at least to an unacceptable standard. 2. That as we get further through the list, the current trend indicates that the pass/fail rate will get even worse. 3. The number of candidates coming forward still indicates that maybe the majority of Fit Testing carried out in the UK is still being performed by un-assessed staff. If you call someone in to provide Fit Testing for your workforce, make sure you ask to see his or her FIT2FIT Accreditation. Your health and safety inspector has been told to ask to see evidence of competency – make sure you have it. Clearly there is still a long way to go in the UK, but important steps have been taken. The EU is looking closely at the UK situation and several other countries have already adopted similar programmes and test protocols. I think it cannot be long before we see the calls for harmonisation in this subject, met with decisive action from the EU. Ian Bennett had 20 years’ practical experience in aerosol science research including the application of ambient counters as Fit Test devices before joining a specialist technology distributor, where he was trained to sell effectively into industry and academia. Programme. During this time Ian also worked hard to champion the practice of Quantitative Fit Testing as a means of improving worker protection. Ian is a member of the International Board of the International Society for Respiratory Protection and is an Accredited Fit Tester under the BSIF FIT2FIT scheme. In January 2010 Ian set up his own company offering training in Fit Testing for FIT2FIT Accreditation, alongside delivering value added sales process and asset management expertise on a contract basis to SMEs that would not normally have access to such resources in-house.